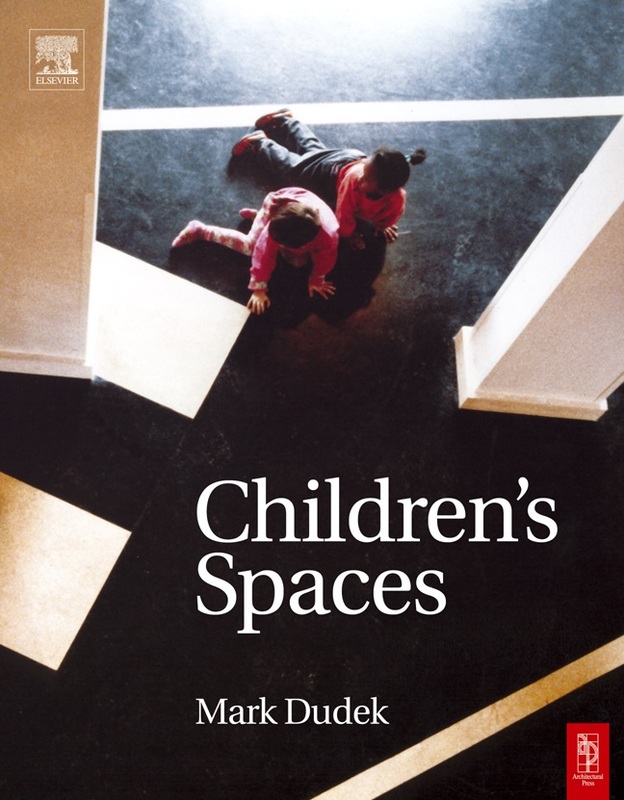 In addition to his built work, Mark Dudek has continued to carry-out research around the theme of children’s environments. 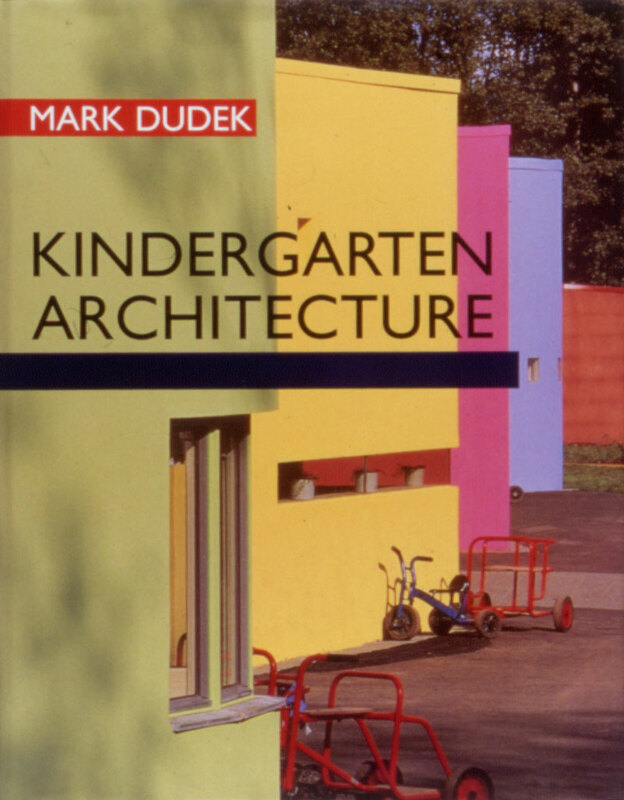 Over the past ten years, publications include, ‘Kindergarten Architecture’ (published by SPON), ‘Children’s Spaces’ and ‘Architecture of Schools’ (both published by Architectural Press). All three editions are available from the RIBA Bookshop, London W1. 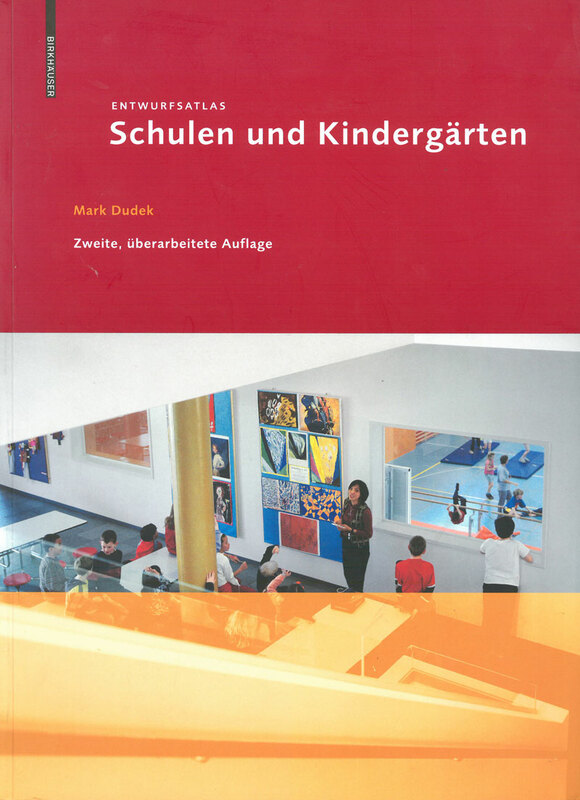 Other more recent publications include ‘Schools and Kindergartens – a Design Manual’ (published by Birkhauser, 2010). A second edition has been commissioned and is scheduled for publication in February 2015. It will include an exciting range of new austerity projects within the case study section. 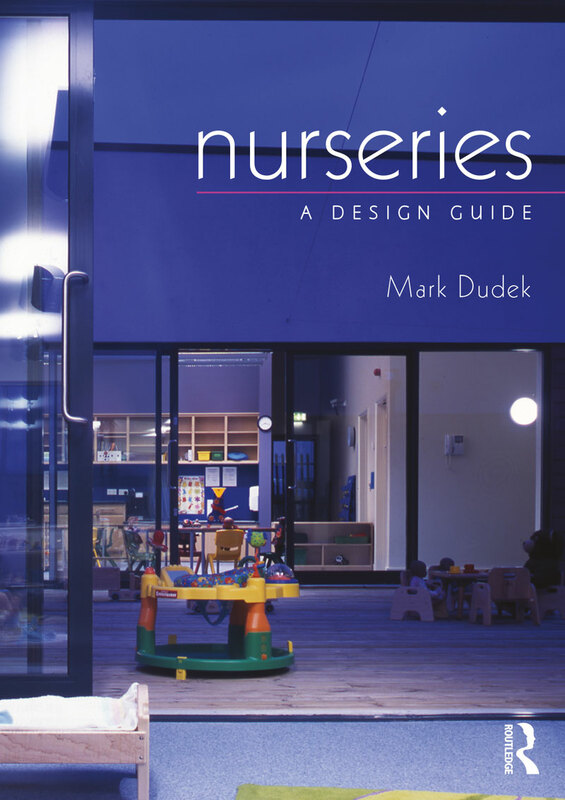 ‘Nurseries’, (published by Routledge, October 2012, 230 page A4 volume containing 150 images, 60,000 words) and ‘Spaces for Young Children’, (published by National Children’s Bureau), A4 design guide, 150 images, 50,000 words, September, 2012, contains most of Mark Dudek’s projects over the past 15 years. 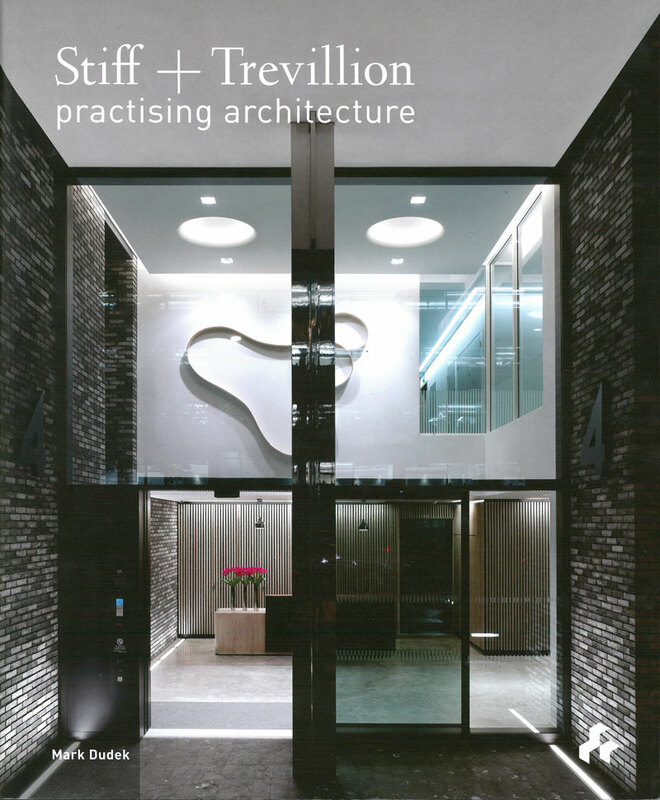 In 2013 Mark Dudek Associates were commissioned to research and write a biography of the architectural partners Michael Stiff and Andrew Trevillion. ‘Practice’ comprises 60,000 words explaining the ups-and-downs of surviving in the architecture business. The Classroom Goes Digital, the only architect selected , 6000 word essay, 15 images, published . Eds. 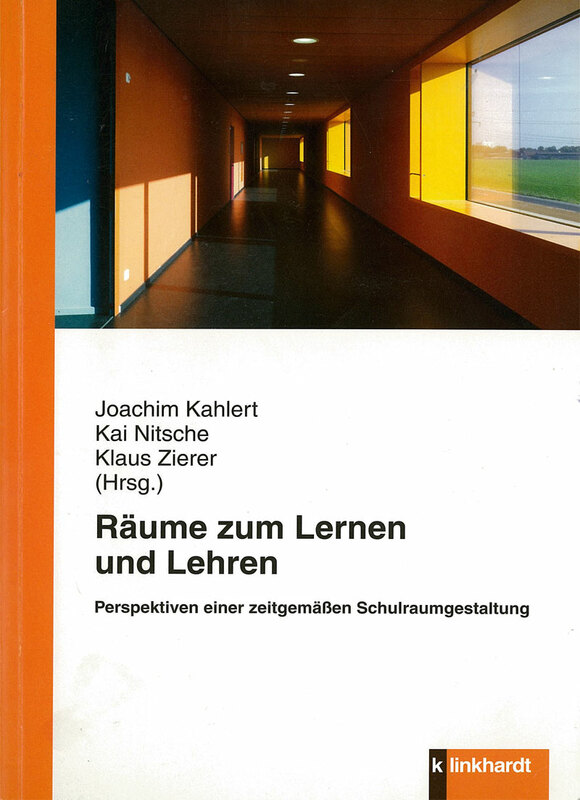 J Kahlert, M Kirch, Technical University of Munich, published, September, 2013. 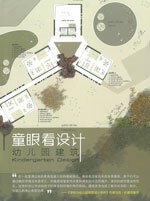 ‘Kindergarten Design’, (Chinese Detail – isbn 978-7-5611-6847-9), 183 pages, 10,000 words, 230 images, international publication, February, 2012. 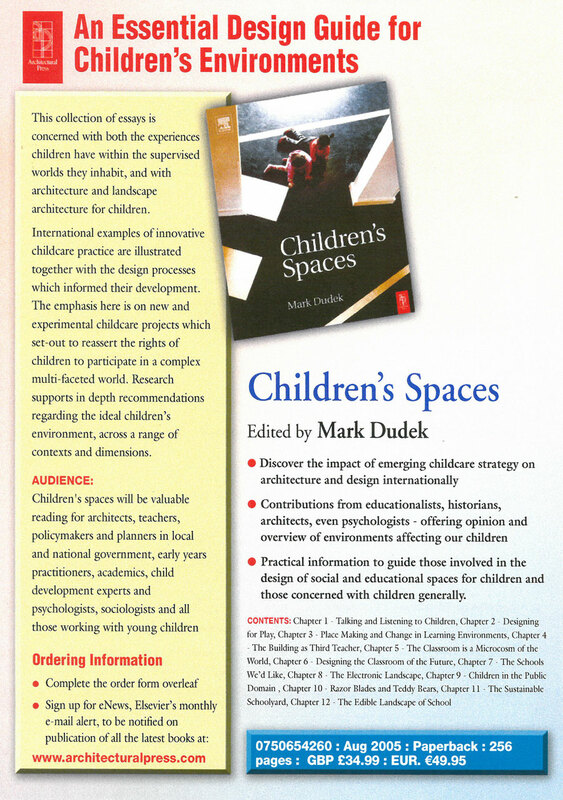 Mark Dudek wrote the foreword and featured project, Cherry lane Children’s Centre covers pages 120-126. 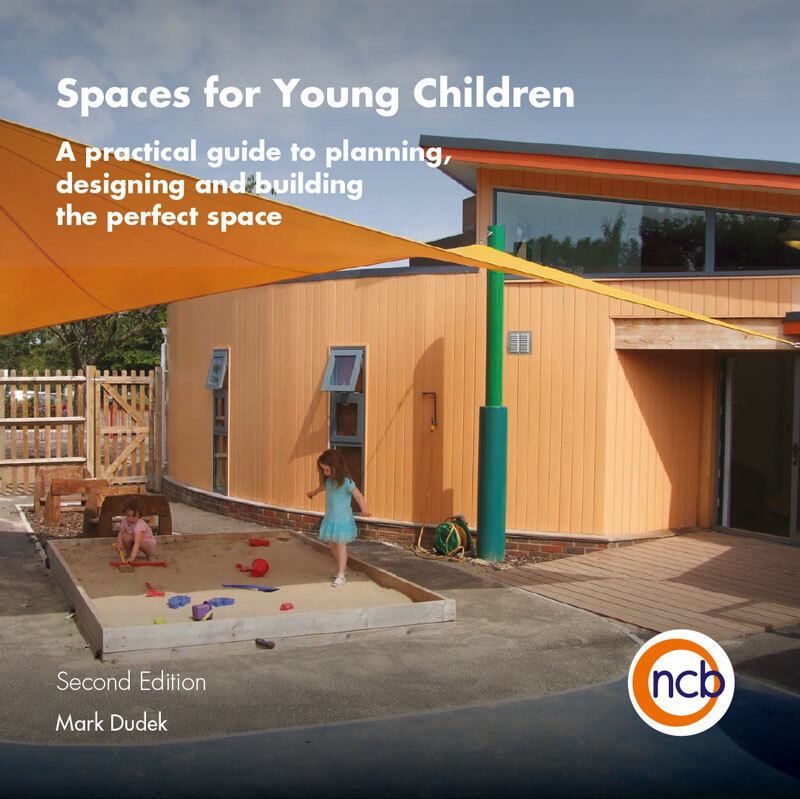 Children and Young People’s Spaces – Developing Practice, 6000 word essay, entitled: Play in an adult world: designing spaces with children, 23 images, published The Open University, Eds. Pam Foley and Stephen Leverett, August, 2012. 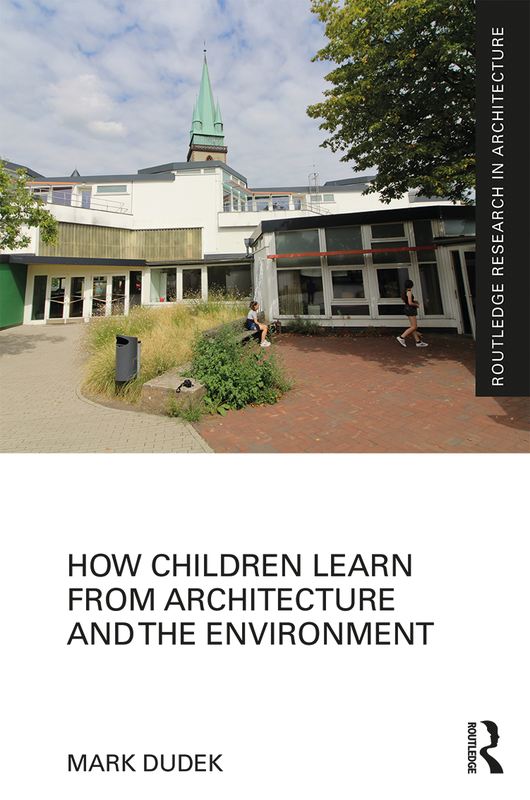 Building Our Children’s Future, collection of essays on design for play, 4000 word essay entitled Why the Primary School Works and the Secondary School Doesn’t. Includes 4 images. Published by PLACE (Planning Landscape Architecture Community Environments Ltd, 4 Fountain Street, Belfast, BT1 5EE), Ed. M. O’Kane Boal. 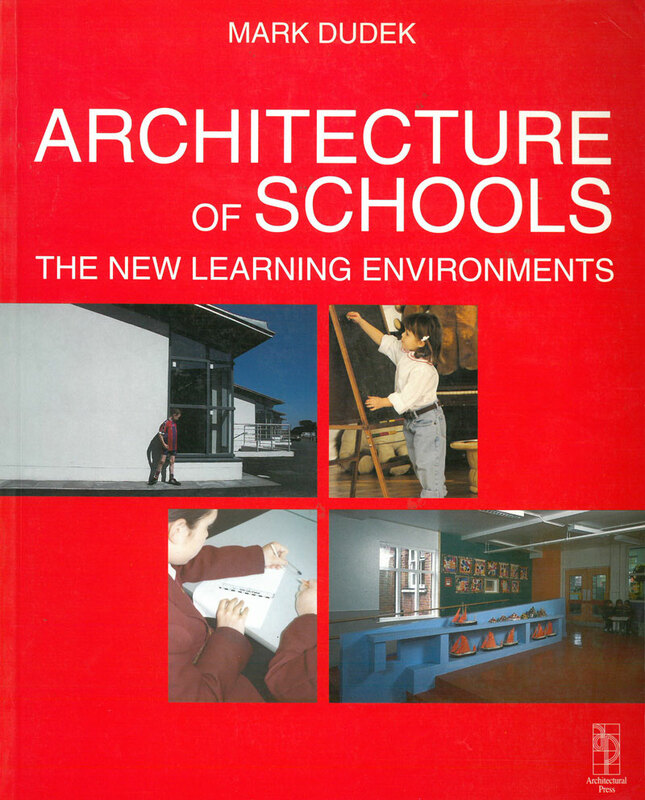 An edited collection of essays on the classroom includes a contribution from Mark Dudek entitled “How can architecture foster teaching and learning in the classroom?”. Other essays from eminent multi-disciplinary academics and education consultants. Mark’s forthcoming book is due for publication in May 2019.